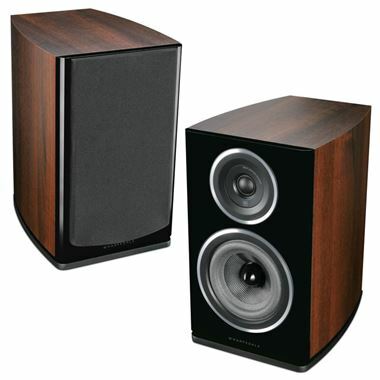 Wharfedale Diamond 11.2 Bookshelf Speakers. Available with Online Finance and Free Delivery. Since 1981, Wharfedale’s famous Diamond speakers have served as the classic entry point to true high-fidelity sound, their exceptional value for money earning numerous ‘product of the year’ awards in the UK and around the world. Now, with the introduction of the all-new Diamond 11 Series, Wharfedale has once again raised the bar for affordable, high-performance loudspeakers. The most immediately obvious change is a return to the elegantly curved cabinet sides made famous by the Diamond 9 and Diamond 10 ranges, which yielded What Hi-Fi? Product of the Year Awards in 2005 and 2009 for the Diamond 9.1 and 10.1 respectively. The result is that the listener hears the drive unit output unsullied by unwanted colorations caused by panel vibration or internal resonances, revealing more of the detail of the musical performance from an affordable speaker range with a distinctly premium look and sound.